Ross Controls, Troy, MI, will showcase safety and productivity solutions with its control-reliable double. 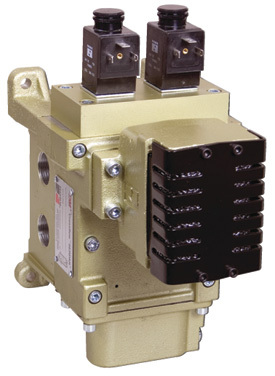 Perfect for clutch/brake applications, the DM2 Series D valves are available in sizes 2, 4, 8, 12 and 30. Additionally, because counterbalance settings affect most areas of press performance, Ross also will feature its automatic counterbalance units, which promise to help minimize wear and strain on presses caused by improper settings.